The Ewing Environmental Commission has chosen the Witchhazel hybrid, Hamamelis x intermedia to be the February Tree of the Month. Although this small tree – or large shrub – is not a native (the crossing of Japanese Witchhazel, H. japonica, and Chinese Witchhazel, H. mollis), these two species combined produce a beautiful, fragrantly blooming plant that is outstanding in our winter landscape from late January through mid-March, depending on the weather and location. Hamamelis x Intermedia can easily be mis-identified as a Forsythia from a distance. The flowers can be clear yellow but depending on the variety, are sometimes orange or reddish, and appear before the leaves. The flowers, 1.5” in diameter, have four ribbon-like, contorted and showy petals which are frost-proof. The fruit, which is a small, dried ½” hairy capsule, matures in the fall and opens to explosively discharge its two seeds a considerable distance. Turkeys, pheasants, cardinals and grouse enjoy Witchhazel seeds. Hamamelis x intermedia will grow to 15’ to 20’ in height and will be equally broad; it is upright- spreading and will develop an irregular, rounded crown. It can thrive in either full sun or partial shade and is tolerant of poor soils although a well-drained, moist and fertile soil will allow it to thrive. 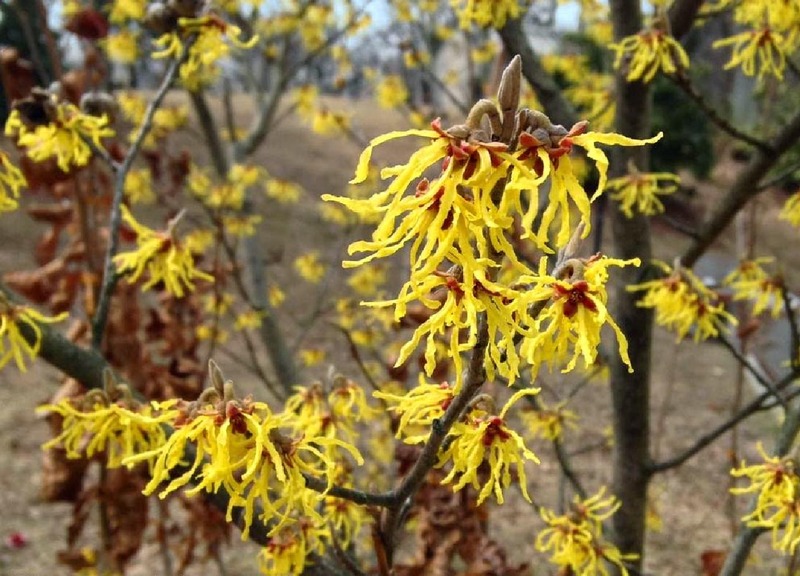 Witchhazel is considered to be a maintenance-free plant, although occasional pruning may help to tidy it up. It is relatively slow-growing. This small tree is useful in naturalized situations, near large buildings and in shrub borders. It is well suited for Ewing, USDA Hardiness Zone 6 B. There are many cultivated varieties (CVs) of this plant available, not all of them yellow-flowering, as its characteristics have made it very popular. Most frequently seen varieties are “Arnold Promise’, ‘Jelena’ and ‘Pallida’. Witchhazel oil extract is used medicinally as an astringent and for soothing sprains and bruises. The flexible wood was once popular for making divining rods, which were employed to detect water sources; the term “witch” is derived from the old English “wice” which meant bendable. There are very few significant pests or diseases which affect this plant but Japanese beetles are known to enjoy the foliage. Deer do not favor Witchhazel. 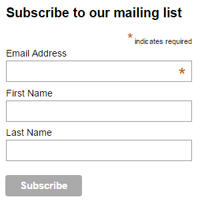 Email the Ewing Environmental Commission with your suggestions for the Tree of the Month.